Gotta Lotta Bud is a bay roan son of NRCHA Million Dollar Sire Nic It In The Bud. 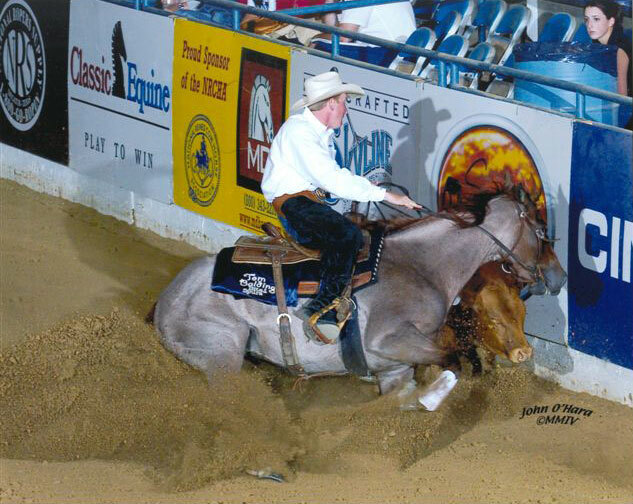 Nic It In The Bud earned $148,765 on his way to an NRCHA Open Derby Championship and World’s Greatest Horseman Reserve Championship. 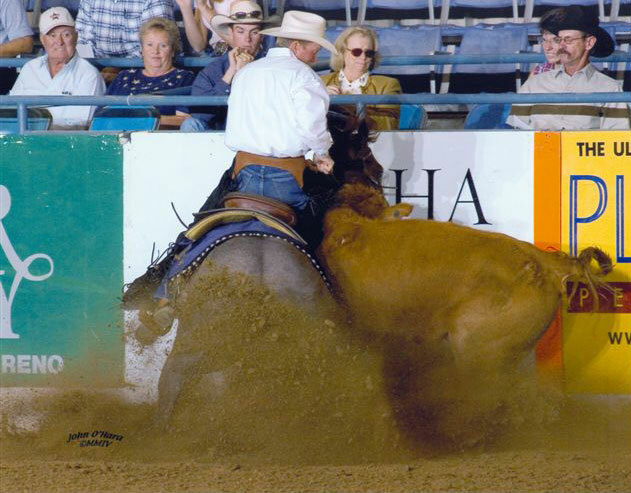 There are only five sires that are NRCHA Million Dollar Sires and NRHA Million Dollar Sires, and Nic It In The Bud is in line to be the sixth. Bud has a great mind, and ton of try. He is a very balanced horse, with a beautiful head. 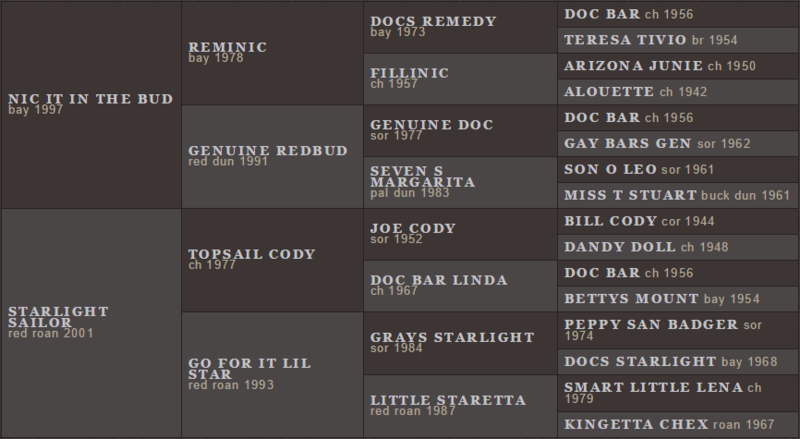 Gotta Lotta Bud has the pedigree, mind, conformation and color to give you the foal you’ve been waiting for. Bud had a pasture injury at two that halted his training. Due to his injury, he has a scar around his right front foot. 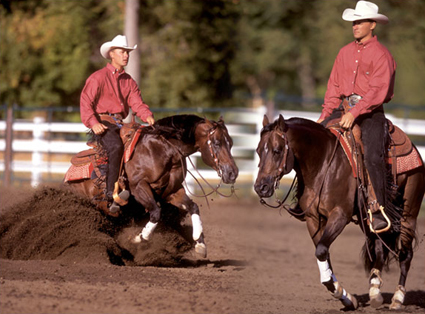 He was then sold and used as a breeding stallion in Idaho. He was owned by a ranch, in ranch horse country. 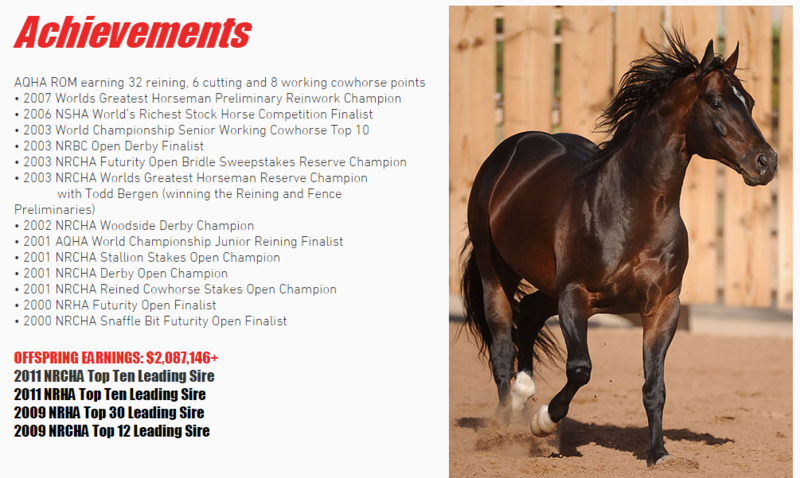 This ranch raised foals and sold them as yearlings at a production sale, in conjunction with other area ranches. He came to us in April of 2015 and immediately went to work. We sat on his back for the first time in 4 years and began training him as we would a 2 year old. Bud took training extremely well, and we soon realized his foot did not bother him. He acts like a gentlemen on the ground, and most people think he's a gelding. Bud is quiet, respectful, patient, athletic and does everything we ask of him. If these sound like qualities you like in a horse, please consider breeding to Gotta Lotta Bud. Never shown again after 3. Bred as a 4 year old due to owner's budget.